Back in summer of 1984, a film called The Karate Kid arrived in theaters, almost immediately garnering critical and fan acclaim. A film that helped define a decade, the story resonated with many youths of the time, making The Karate Kid a memorable piece of American pop culture. Spawning several sequels, an animated series, and a reboot film in 2010, to the delight of many ’80s loving fans, a new chapter was born in 2018 with Cobra Kai. At first thought of as a trip down memory lane for thirty and forty-somethings who grew up with The Karate Kid, after just a few episodes into the series, it became clear that Cobra Kai legitimately transcends any stigmata it faced as merely ’80s nostalgia. Cobra Kai season 2 behind the scenes photo. 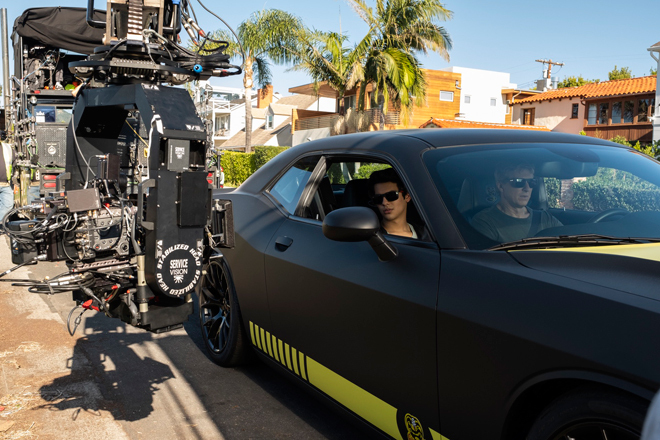 Unifying superb writing, realistic situations, great production, and astoundingly compelling characters, Cobra Kai became a hit among viewers of all ages after the first 10 episodes premiered as a YouTube Original series last May. Concluding the debut season with a bang, original characters Johnny Lawrence (William Zabka: Just One of the Guys 1985, Back to School 1986) and Daniel LaRusso (Ralph Macchio: The Outsiders 1983, My Cousin Vinny 1992) face off one more time at the All Valley Tournament, only this time they are not the students, but the teachers, leading Miguel Diaz (Xolo Maridueña: Parenthood series, Twin Peaks series) and Robby Keene (Tanner Buchanan: Grey’s Anatomy series, Designated Survivor series). Miguel, a once shy, sweet kid, lacked self confidence, but has overcomes his fears, earning stripes as an elite student of Karate thanks to Johnny’s instruction. On the other side, Robby, who is also Johnny’s son, is a good kid with a bad home situation who yearns for a good role model, and finds it with Daniel, who educates him on the balance of Karate. 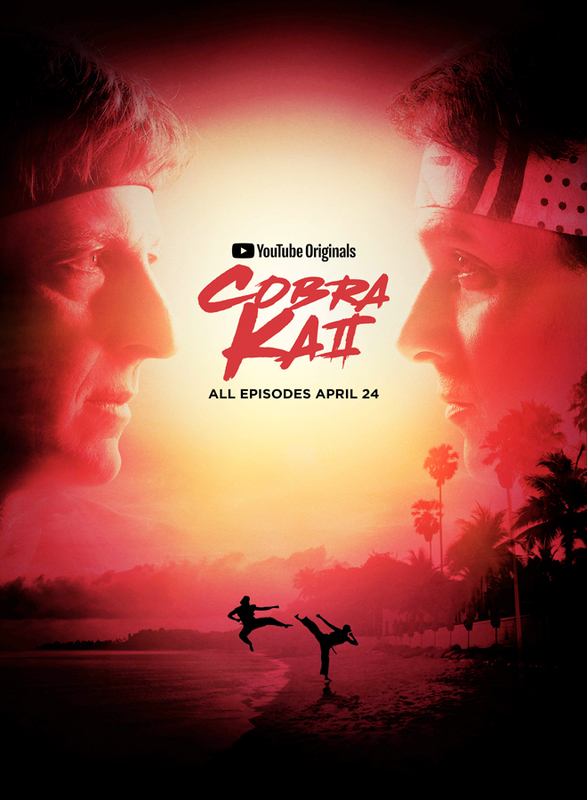 Two very different schools of thought – Johnny’s more the aggressive, and Daniel’s more defensive – in the finale of Cobra Kai’s first season, the script is flipped, with Cobra Kai regarding their glory, showing no mercy to Daniel LaRusso’s protegee Robby. A great victory for Miguel and Cobra Kai, it is a bittersweet one for Johnny, who stands by watching an estranged, injured Robby suffer defeat. From here, Johnny returns to his dojo emotionally torn, but to his surprise finding his former sensei, John Kreese (Martin Kove: The Karate Kid 1984, Rambo: First Blood Part II 1985), awaiting him. 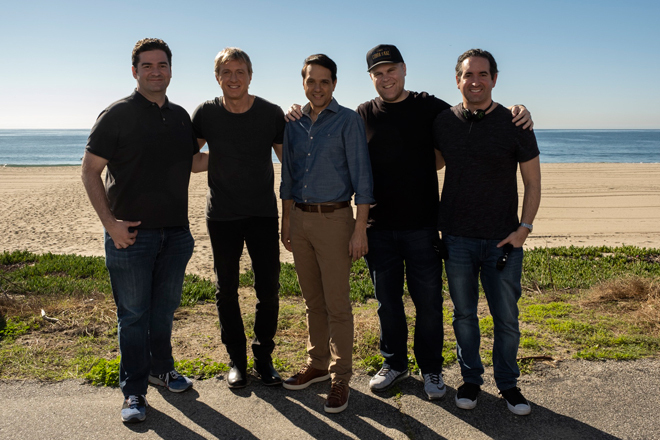 This all unfolding in the final moments of the first season, fortunately for fans, Cobra Kai was renewed for a second season, and returns for 10 new episodes, premiering April 24, 2019. Which leads to the question, where does the series go after such a fantastic inaugural outing? Well, in many ways, you could argue Season 2 is as good, if not better. All depending on your perspective, in truth, there is plenty more character development to be had in the second season; adding intrigue to an already interesting cast that includes the aforementioned Miguel and Robby, along with Eli “Hawk” Moskowitz (Jacob Bertrand: This Means War 2012, Ready Player One 2018), and Daniel’s daughter, Samantha LaRusso (Mary Mouser: Son of the Mask 2005, NCIS series). Additionally, the emergence of John Kreese adds an extra wrinkle to the storyline. For Season 2, the story picks up directly where Season 1 left off, and Kreese is immediately interjected as a key player of what is to come. For better or worse, it is evident Kreese will be a major part in what happens between Cobra Kai, its students, but also, Johnny and Daniel. Kreese, the perfect villain, is as rough and tough as ever, looking to persuade Johnny to welcome him back into his good grace. So, is Kreese really a changed man, or is his motive something much more self-serving and dangerous to the evolution of Johnny and Cobra Kai’s brand? On the other side of town, Daniel, with the support of his wife Amanda (Courtney Henggeler: The Big Bang Theory series, Mom series), has decided to be proactive in combating the aggression of Cobra Kai, launching his own dojo, Miyagi-Do Karate. In many aspects, the complete opposite philosophy of Cobra Kai, Miyagi-Do Karate emphasizes the importance of balance, empathy, and use of Karate as a form of defense, instead of as a deadly weapon. That said, not everything is always as it seems with Cobra Kai either. How so, you may ask? Well, it is quite evident that Johnny has changed his view on Martial Arts, life in general, and continues to further seek to alter outsider’s perception of Cobra Kai. In the end, who will triumph as a mentor to the young adults seeking guidance from either Johnny or Daniel? 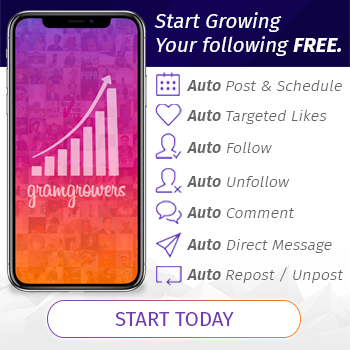 What if, no one really wins at all? There is so much left to be uncovered in the second season of Cobra Kai with the winds blowing in a different direction in each passing scene. One thing is clear, expect the unexpected, because it is going to be a wild ride that will no doubt provoke your binge watching instincts. 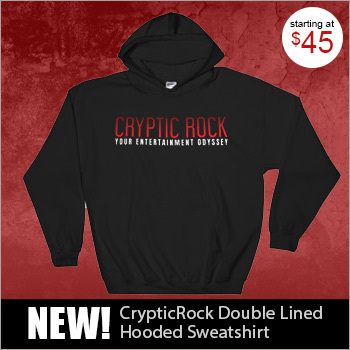 Very impressed with the return of Cobra Kai, Cryptic Rock gives episodes 1 and 2, 5 out of 5 stars.